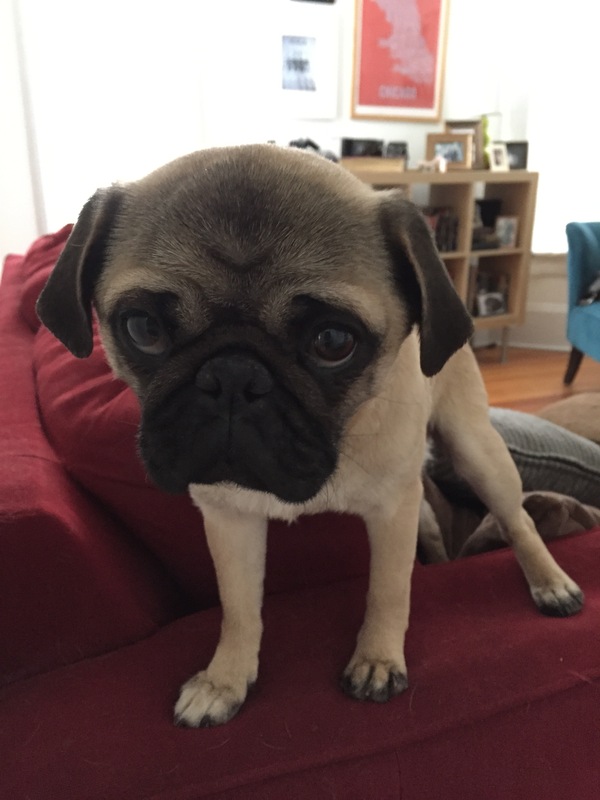 In honor of Lola’s adoption birthday on Monday, I thought this would be a good opportunity to share a little about our decision to choose rescuing our pugs over going with a breeder. Eric had wanted a pug since long before we’d even met, and though it took him some time, he eventually convinced me that Pugs were the right dogs for us. Living in a big city, we liked that they have a reputation as a good apartment dog, in addition to the fact that they are just so damn cute! At first, we were actually on the fence as to whether we should find our dog through a rescue, or go with reputable breeder. Doing the latter, we quickly discovered, was actually far more difficult than we’d anticipated and after contacting a few referrals from other pug owners we knew, we were told that there were no litters expected and it could be up to a year or more before we had our dog! 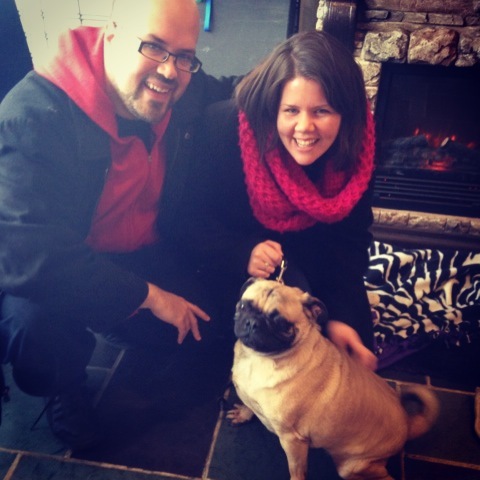 After that, we started researching on our own and ran into some big red flags that had us rethinking our pug hunt and why going the rescue route was better for us. It’s more humane. Puppy mills are establishments that breed dogs in often inhumane conditions almost exclusively for the purposes of turning a high profit with little care or concern for the actual animals. When you purchase a dog from a pet store, you are supporting these awful businesses and perpetuating a horrific cycle of animal cruelty. Additionally, many “breeders” are actually puppy mills in disguise and it can take a great deal of time and research to weed them out from reputable breeders. Sadly, we came across quite a few of these in our search. Don’t get me wrong–the expenses of having a dog can definitely add up, and you should always consider the long-term costs before you commit to bringing any pet into your home (i.e. have money set aside for those unexpected vet visits). That said, it’s nice to give yourself some time to build up a cushion to account for those costs rather than having to fork over thousands at the onset. Also, if you making the mistake of choosing a breeder that is less than reputable, your pup could come with numerous costly health issues, in addition to a lot of heartache. Added bonus: most shelter dogs come with full vaccinations, microchipping and spaying/neutering included in the adoption fee. You know more about what you’re getting. We were pretty fortunate to get quite a bit of information from the organizations where we got Ru and Lola in regards to their history, medical issues (thankfully, nothing serious for either), temperament, etc. As a result, we weren’t left to face any surprises we couldn’t deal with. We didn’t have to worry about them getting any bigger or outgrowing our tiny apartment. And while the two of them can get into trouble, it’s no where near as bad as it might be if we were dealing with puppies. You’re not starting from scratch. It’s no secret that puppies are adorable, but they are also hard work. Housebreaking can take a lot of time and patience with a puppy, and you can definitely expect to lose more than a few pairs of shoes (and nights of sleep) while training them. Most shelter dogs, on the other hand, have at least some degree of housebreaking and social skills so you can get to the fun parts of having a dog faster! Rupert and Lola both came to us housebroken, so while we had to do some work to get them into a routine, it was nowhere near as difficult as it would have been had we been starting with puppies. Picking up Rupert from Tails of Hope! I feel like this one goes without saying, but it feels really good to give a dog a second chance to be apart of a family. The shelter we rescued Rupert from has the awesome mission of re-homing dogs whose owners have passed away or are too sick to care for them. 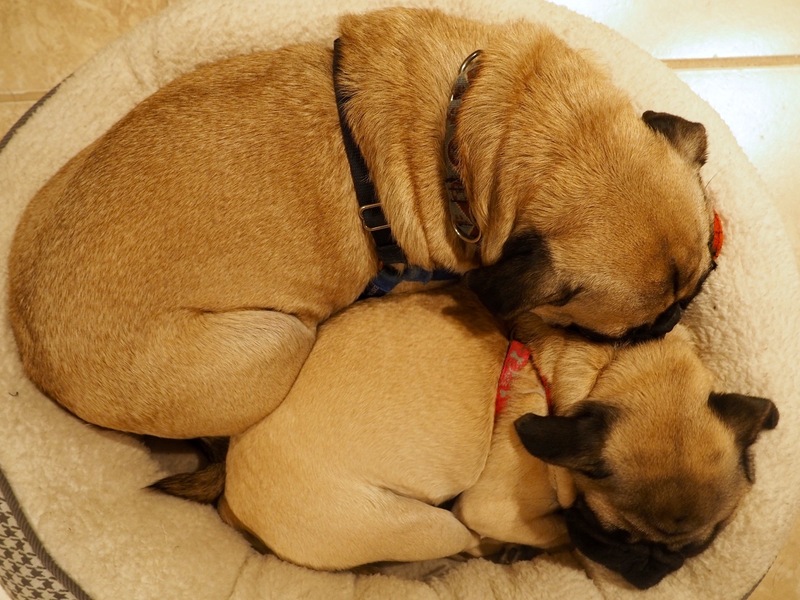 For many people, pets are family members, and I couldn’t imagine how hard it would be to have to worry about the pugs if something were to happen to us. 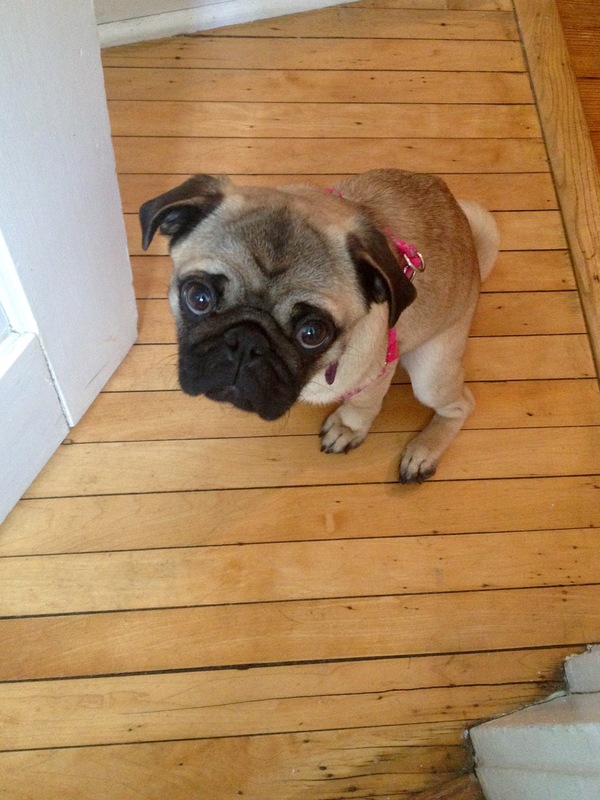 As for Lola, we got this little bundle from Northern Illinois Pug Rescue, and I couldn’t recommend them enough if you are specifically looking to adopt a pug. They work with volunteers to foster each of their dogs, helping to socialize them and to give them a good, temporary home, often for the first time in their lives. Lola’s foster mom was able to give us so many helpful details about her behavior and her history that made the transition so much easier for everyone. These are just a few of the reasons we decided to go the rescue route – share yours below! 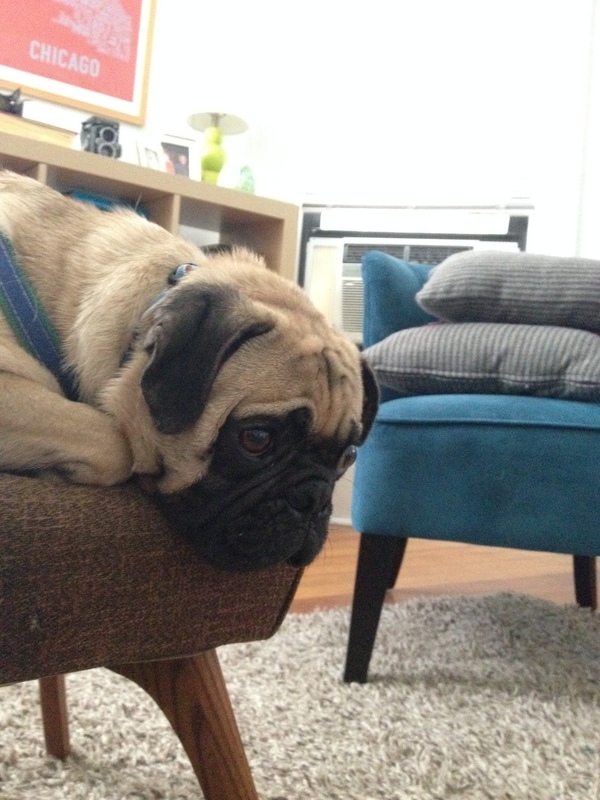 Pugs pose. Rupert is anyway. Lola looks like she might be bright. That’s a pretty hefty melon. You would hope… Not always the case. Unless there’s food involved. I love pugs!! I worked at an emergency vet, and someone brought in a pug puppy (now mine!) that and they couldn’t afford the treatment. They signed her over to the vet and I adopted her. Love her! Pugs are the best 🙂 And what a lovely story! How old is your little one? She will be 5 in March!